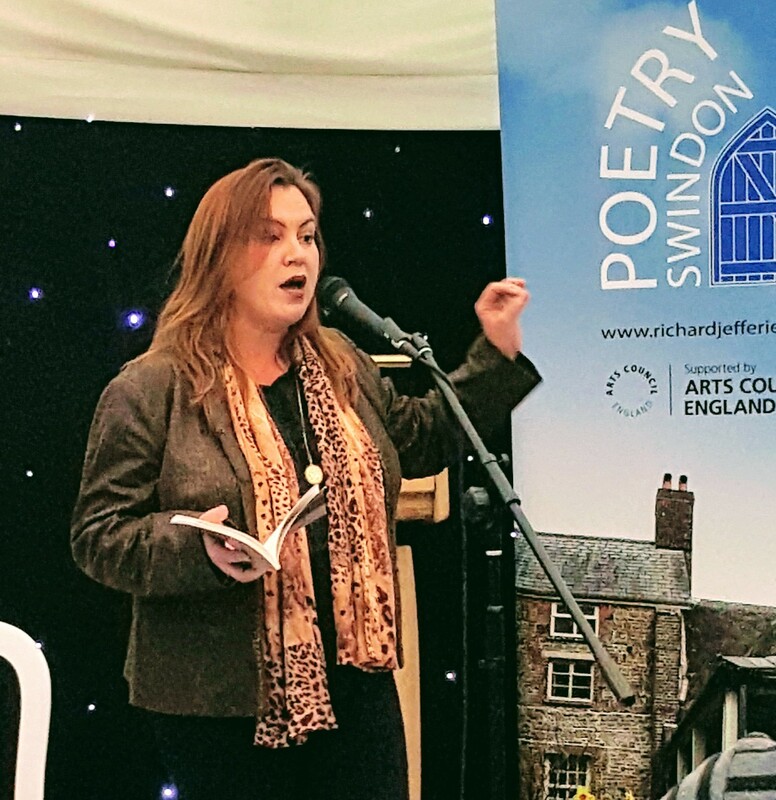 Saturday: after a tea break the rain was abating and a packed tent was treated to a wonderfully strong reading from Carrie Etter, who’s something of a darling with the Poetry Swindon audience. Hardly surprising given all that she does for the local/regional poetry scene. The Tent Palace was aglow with love! Before the reading there was a lovely speech/farewell from Festival Founder/Director Hilda Sheehan. Hilda has relocated to Belgium, but she wanted to not only thank everyone who had worked hard for and supported the Festival, but also reassure us that it would continue, and get better and better. There was a special thank you to Helen Dewbery for taking on the organisation late in the day, and bringing the festival to fruition. We love Hilda! After opening with ‘Night Ode’, she told us how her father had been obsessed with watching weather reports, and even after she had moved away he would call her up to tell her the weather forecast for where she was. Carrie calls the book ‘a eulogy to my Illinois’, and told us about her journey from Normal to California aged 19, and from there to England… although she still ‘returns to Normal once a year’.